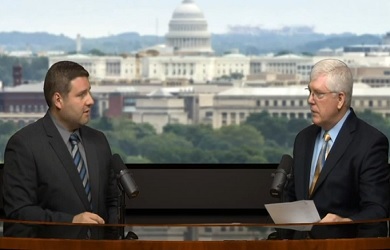 On Liberty Counsel’s “Faith and Freedom” radio program today, Mat Staver and Matt Barber railed against the 24 Republicans in the House of Representatives who voted against an amendment that would have prohibited the Pentagon from paying for gender reassignment surgery or any related medical treatment for member of the armed services. Though the cost of such surgeries is infinitesimal amid the Defense Department’s $640 billion budget, Staver and Barber claimed that the surgeries will “divert” funding from life saving equipment and that those who voted to defeat the amendment will now have blood on their hands. “The last thing you want to do is use federal funds to divert from tanks and rifles and ammunition and training and security toward this kind of nonsense,” Staver said.